Cover Reads: My Memory Is So Terrible That I Had To Change My Password To "Incorrect." Now, I Get A Reminder "Your Password Is Incorrect" Every Time I Enter It Wrong. 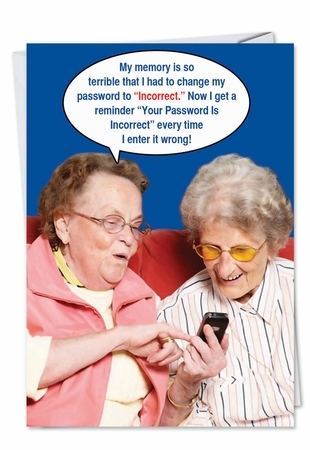 This hilarious password joke makes the best greeting card to send.